Americans celebrated Memorial Day yesterday (May 28) with a day off from the usual 9 to 5 grind, and Mac DeMarco seems to have taken full advantage of the holiday Monday. 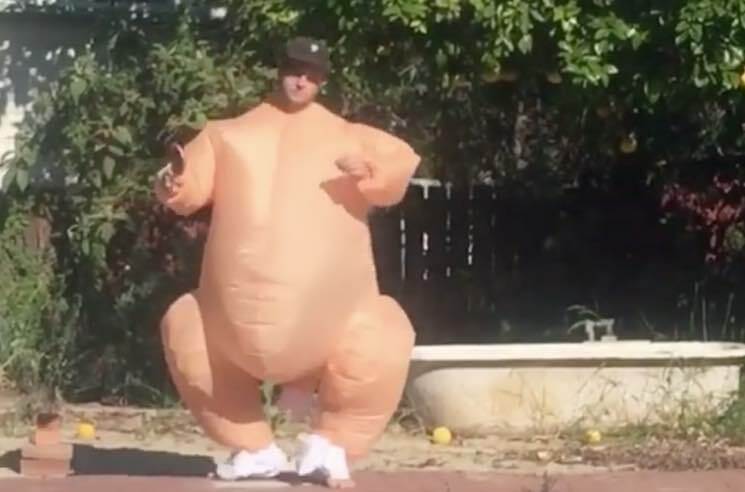 Despite being born and raised in Canada, he celebrated the U.S. occasion by dressing up as a giant turkey and dancing to one of Michael Jackson's early hits. Showing off his new summer bod, DeMarco grooved poolside to "Rock with You" with a lollipop in hand. No context was provided, and honestly, none is really needed. Check out the bizarrely hilarious clip down below.